I still remember the very first time I visited Italy. It felt like I’d been transported into another world. I’d left the army of tall glass and steel skyscrapers in Toronto behind. Suddenly, I was walking through the Vatican, taking in the massiveness that is St. Peter’s Basilica, when I began weeping uncontrollably. It wasn’t a religious experience, I was simply happy to be there in this magnificent, historic site that I’d only ever read about in travel magazines and watched on TV. It all seemed too beautiful to be real and for the remainder of that trip, I was overwhelmed by the grandeur of all the castles, cathedrals, and other sites. I remember thinking that if I never travelled anywhere else in my life, I’d always be grateful and appreciative for the time I spent in Italy. I know it all sounds like one big, tired cliche that you’ll see written about in travel blogs or hear about in discussions with people who’ve just come back from a holiday in Italy. But no matter what anyone says, there’s no denying that Italy’s a very special place and there’s plenty of reasons why so many people visit. Italy’s actually the fifth most visited country in the world and saw close to 50 million tourists visit in 2014. Little did I know on my first trip that I’d end up coming back several times and spend more holiday time there than any other country in Europe. 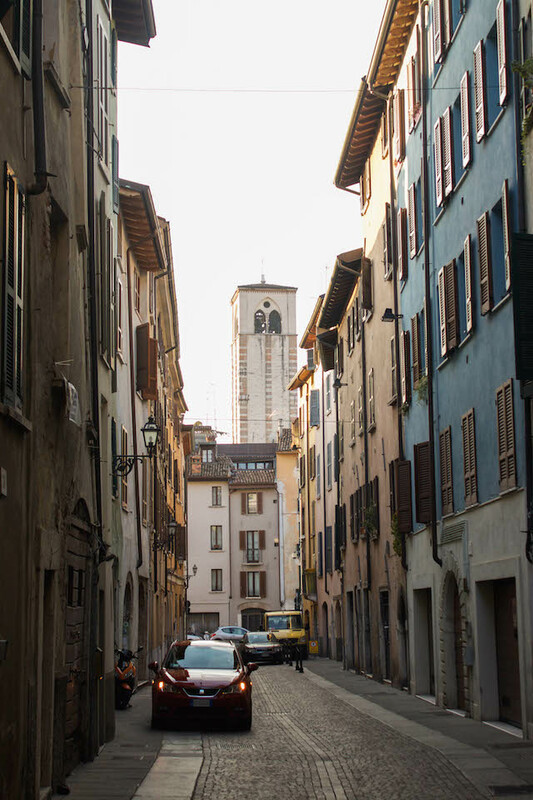 When I was invited to visit Brescia in December, I couldn’t wait to get back again. 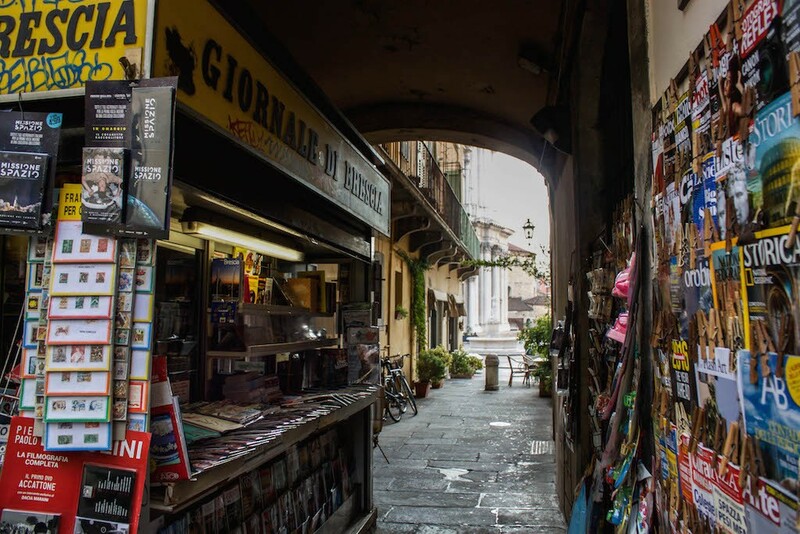 I was there for two days and made the most of my experience, drinking local wines, eating fresh pasta, checking out museums, getting all holy in cathedrals, and simply wandering the streets of Brescia. 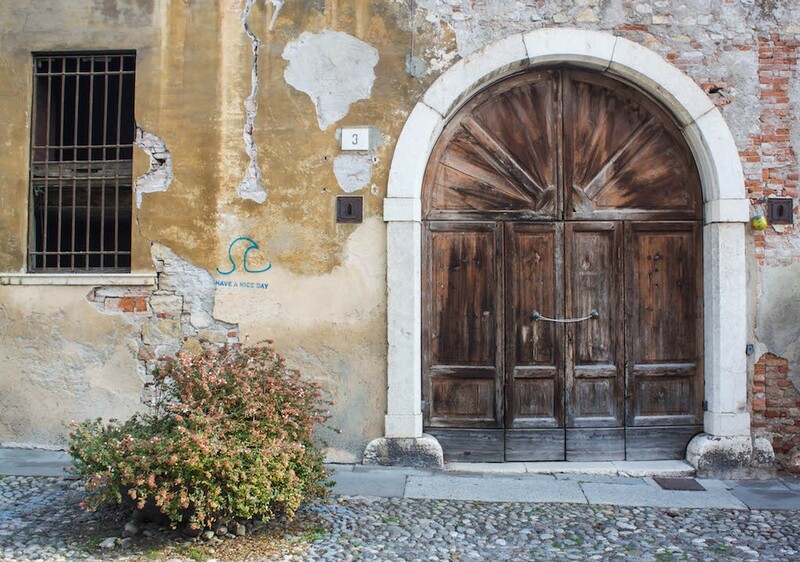 Recommended reading: Where to stay when you’re visiting Brescia with these best Brescia hotels. 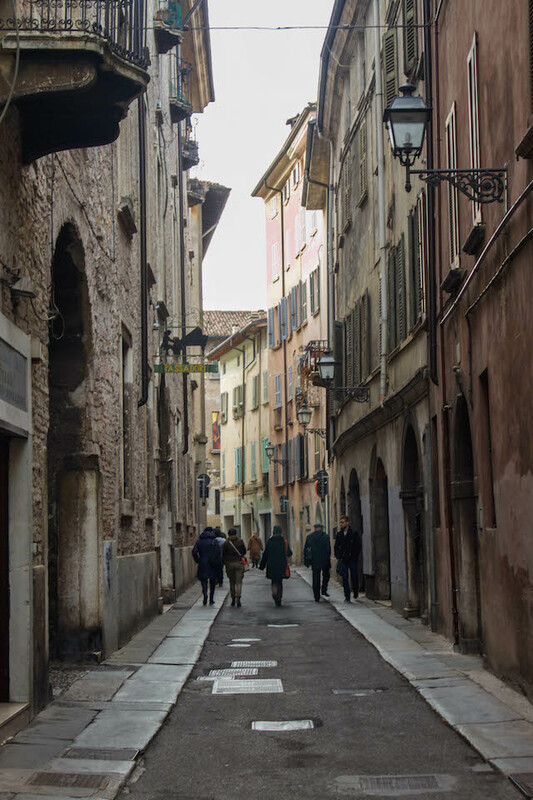 While I’ve already written about some of things that you can see and do in Brescia, I wanted to share some photos taken from my walks throughout the city. 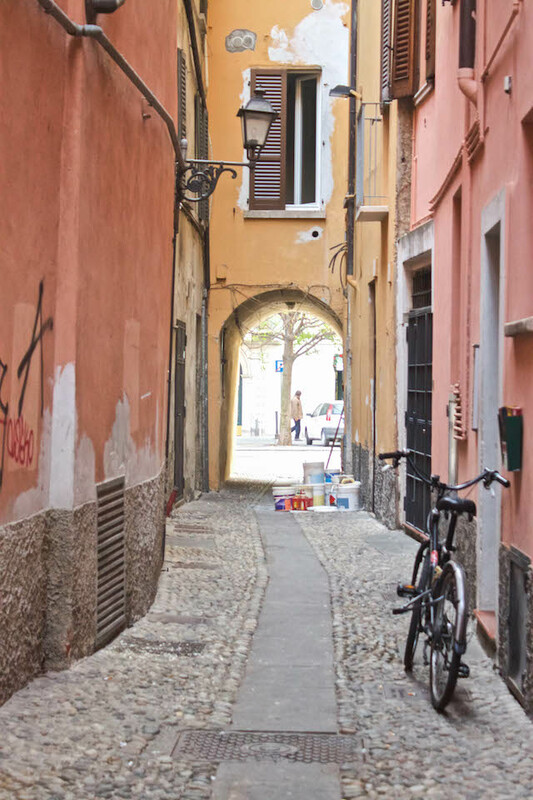 There won’t be any snaps of castles or cathedrals here, but pictures of narrow empty streets, locals flying by on their bikes, news stands, signs, and more, all reflecting a more simple and gentle side of the life in this Italian city. 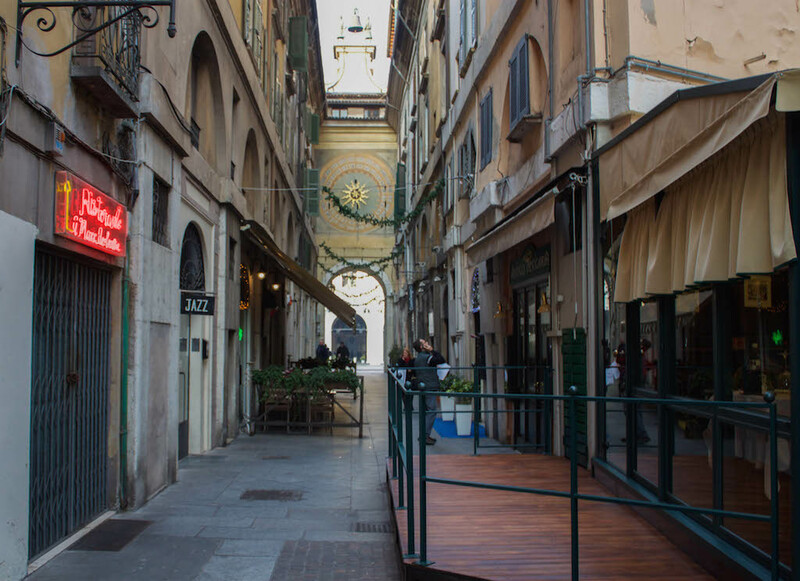 At night, this street is lively and full of people eating dinner, sipping on wine, and listening to music. Early in the morning, everything’s closed and the street’s virtually empty. I feel like there are less “classic” newsstands like this today. Most people pick up their newspapers in convenience stores and their magazines in specialty shops. 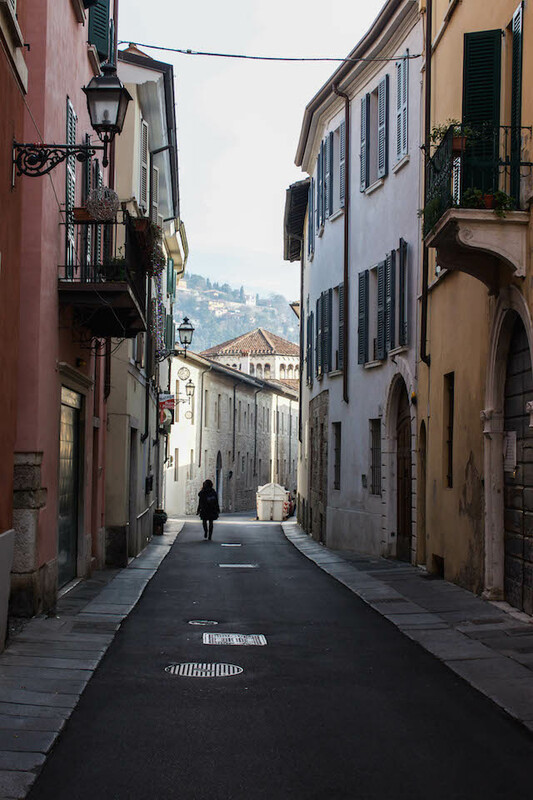 Sunshine spilling on to the streets of Brescia. As with most European cities, bikes are one of the preferred modes of transportation, even on a cold December morning. Of course, they also lend an idyllic detail to any photo you take. 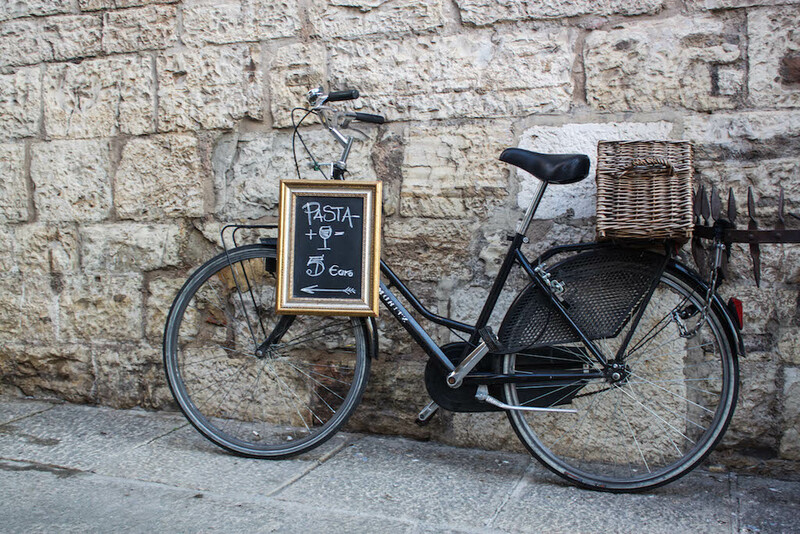 Bikes are also used as a way to advertise pasta and wine for €5. Deal, I’m in! 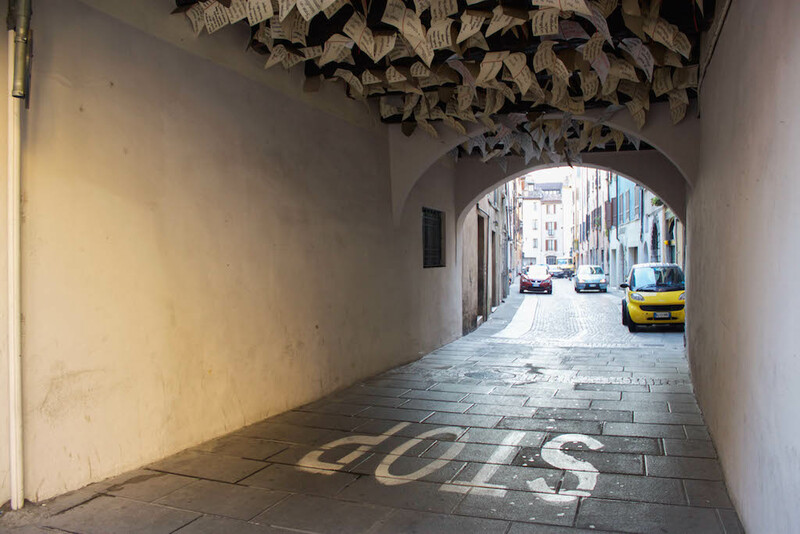 I’m not sure why (my online research yielded absolutely no information), but there’s these lovely handwritten notes hanging from the ceiling of this short passageway. Never mind fashion’s street style concept, check out these street style photos. Brescia is worlds apart from the street art heavy Berlin, so seeing “Have a nice day” inscribed on the wall was especially endearing. Just like when I spotted young girls with floral wreaths in their hair while in Prague, I spotted some in Brescia as well. These pretty floral wreaths are usually worn on the day they obtain their university degree and aren’t actually a fashion statement. 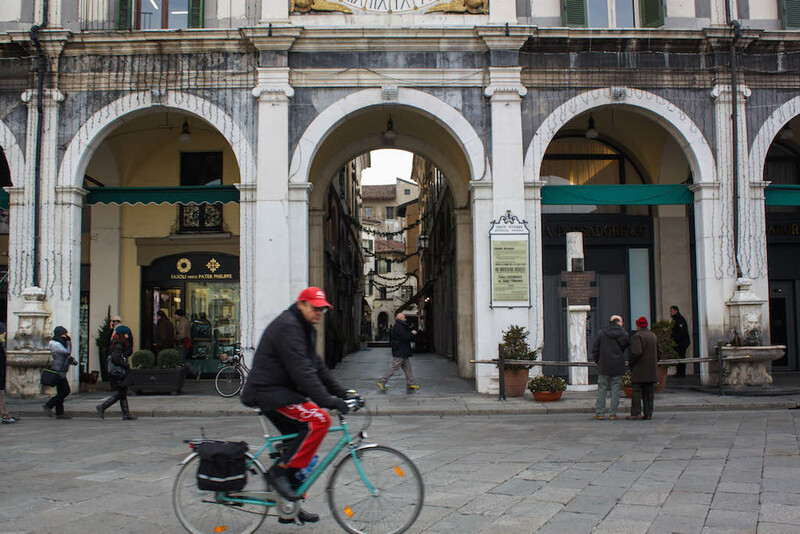 1) Read my guide to 24 hours in Brescia. 2) Ryanair flies from Berlin, direct to Bergamo’s Orio al Serio International Airport, with the flight only being one hour. 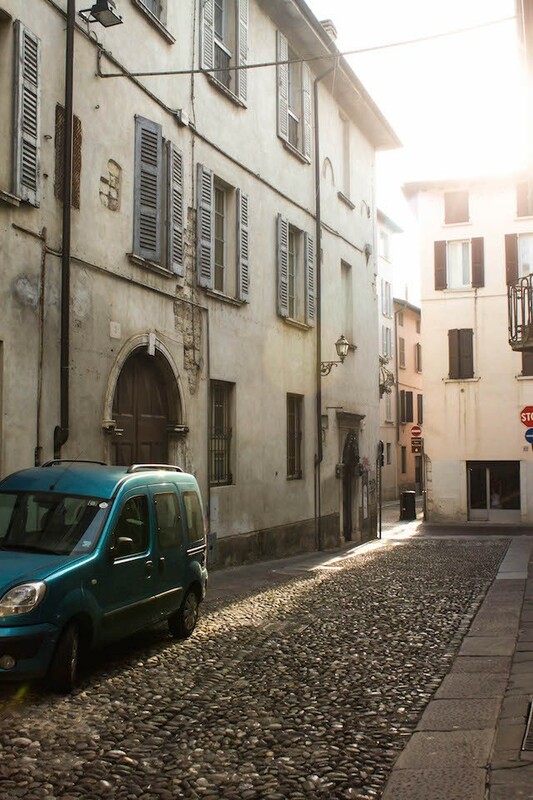 3) You can book a driver with DeMasi Car to take you from Bergamo to Brescia. Contact them for exact prices. 4) Stay at Albergo Orologio Hotel. Rooms average around €90 per night. 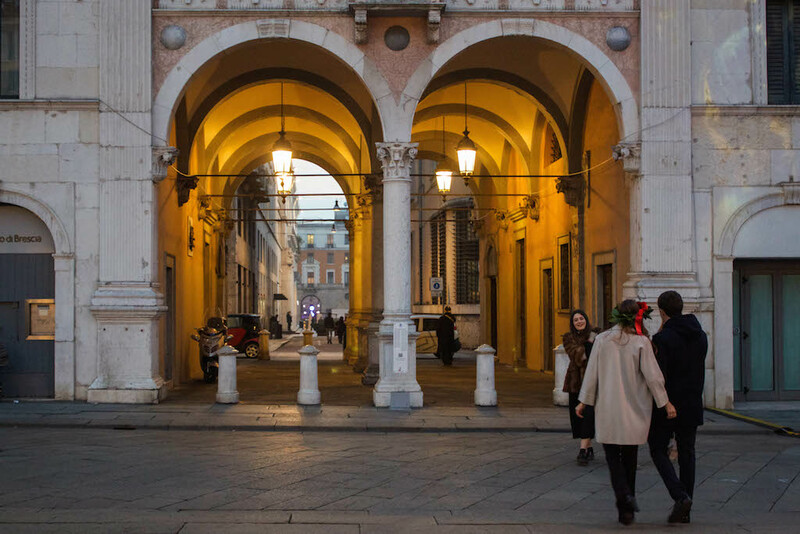 5) Get a feel for Brescia and the surrounding area by checking out the Brescia Tourism YouTube channel. 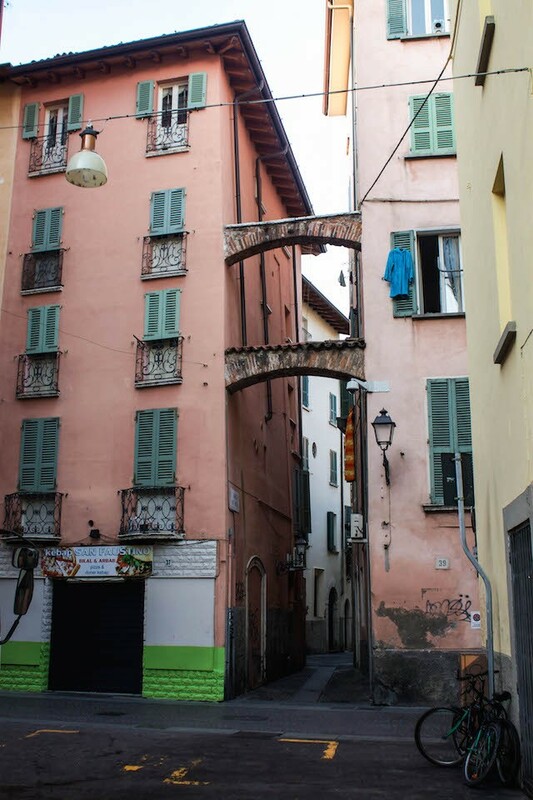 *Disclosure – My in Brescia was courtesy of Brescia Tourism. Any opinions expressed about my love of Italy and all things Italian are entirely my own. 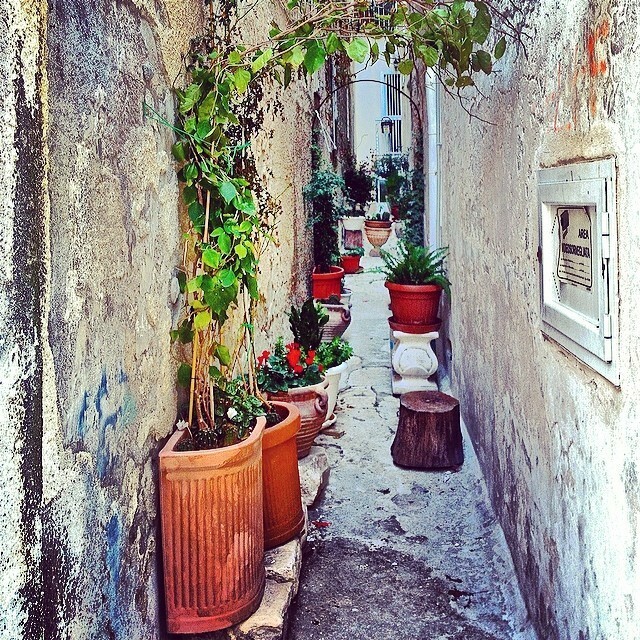 Instagramming Monopoli … and That Puglia Feeling.